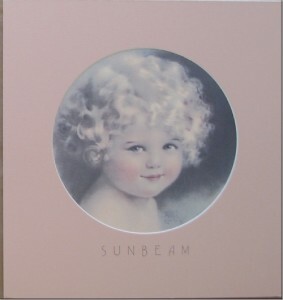 Poor “Sunbeam” has been stuck in a drawer for awhile! Our client’s daughter resembled “Sunbeam” when she was small and so she’s been keeping the print with the idea of framing it and giving it to her. 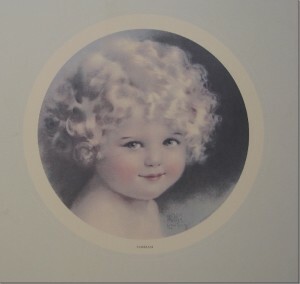 We liked that the print was titled “Sunbeam”, but we didn’t want to show the “white” border around the print. So we decided that we’d use our Wizard (computerized mat cutter) to write “Sunbeam” directly onto the matting. 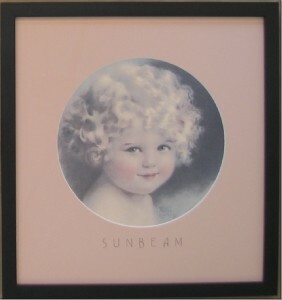 Finished off with Museum glass and a simple black cube frame from Larson Juhl, “Sunbeam” is ready to shine!